You are not logged in. 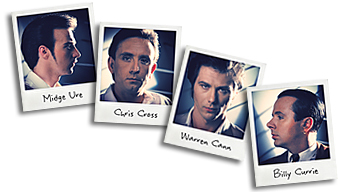 [Log In] Ultravox.org.uk » Forums » Socialising » Introduce yourself... » Greetings from Bavaria! #89401 - Wed, 28 Apr 2010 04:05:00 Greetings from Bavaria! Hi everyone, just wanted to introduce myself to this forum. I'm a Scot living in Bavaria and a lifelong Ultravox fan, though this year was my first opportunity to see the band play live. Sadly, I only learned about this forum after the gig so didn't get a chance to meet anyone! Never mind. Hopefully there will be another chance. All the best from sunny Munich! #89402 - Thu, 29 Apr 2010 01:30:00 Re: Greetings from Bavaria! #89403 - Thu, 29 Apr 2010 05:12:00 Re: Greetings from Bavaria!